Ladies and Gentlemen Let the Bidding war begin . Bring All Offers ! Amazing Opportunity ! Bank Owned ! 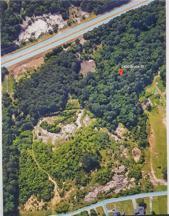 Buy this amazing tract of land At A Rock Bottom Deal ! New sports Complex Being Built minutes away From Property, Stonecrest Mall One Mile away , Tons of potential ! The Price per Acre says It all. No Other land in this area is going for less! Bank has Had Land clearing and development consults to see the huge potential in this tremendous property. Act Fast to get this property before Values skyrocket. Banks Non Interest in development is your Gain !